Lowell Vande Kamp is a 25-year technology veteran whose IT leadership and management experience spans multiple industries including Education, Financial Services, and Organizational Development. His technical capabilities include software, hardware, networking and telecommunications. Lowell’s tactical responsibilities have included project management, software product development, business consulting, strategic account management and software product support. 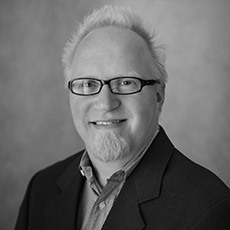 For the past 15 years Lowell has focused on higher education, starting first as a Software Director with Apollo Group in 2000, continuing with Education Management Corporation as a Vice President of Software and currently with Synergis Education as the Chief Information Officer and Head of Academic Services. His systems responsibilities have spanned the entire student and faculty life cycles, including inquiry acquisition and distribution, customer relationship management, contact center technology, student information systems, online enrollment applications, degree audit and student / faculty portals. As the Head of Academic Services, Lowell is responsible for Program Planning, Instructional Design, Instructional Technology, Multi-media development and Course Building teams. As a technologist Lowell enjoys understanding and learning new technologies but as a business advisor he carefully analyzes the costs and benefits when dealing with technology initiatives. As a lifelong learner, Lowell is also passionate about improving both the way that we teach and the way that we learn. He holds a Bachelor of Science degree from Arizona State University.